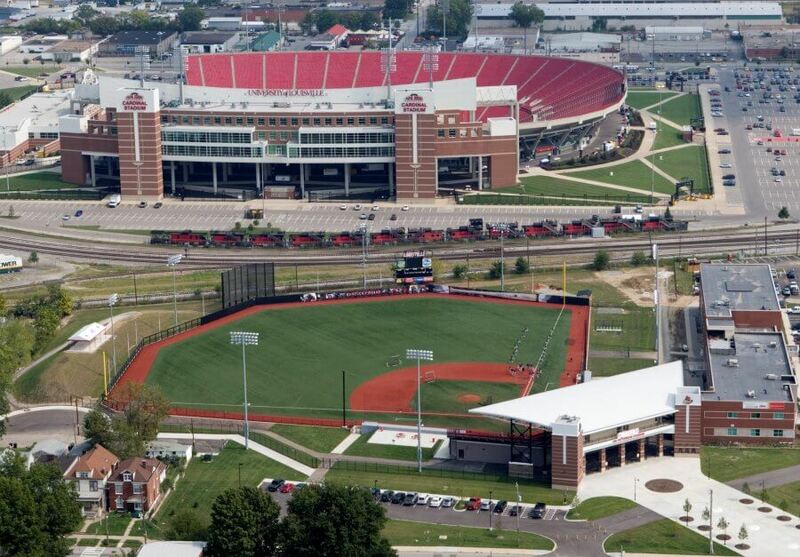 With the stadium’s proximity to existing University of Louisville athletic facilities, high importance was placed on exterior details mirroring surrounding facilities. Elements of historic Parkway Field, home of the baseball team until 1996, can be found in the green brick from Parkway’s left field wall that support the new roof, as well as the dirt placed in the new batter’s box. The stadium is designed with a seating capacity of 2,500, but has the space to add 1,500 seats. 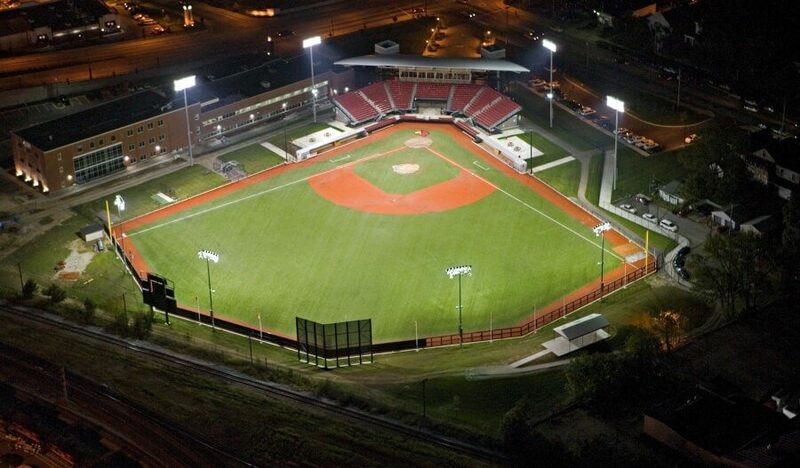 The playing field features a state-of-the-art drainage system, measuring 330’ down the base lines; 402’ from home plate to center field; and 375’ to the power alleys. 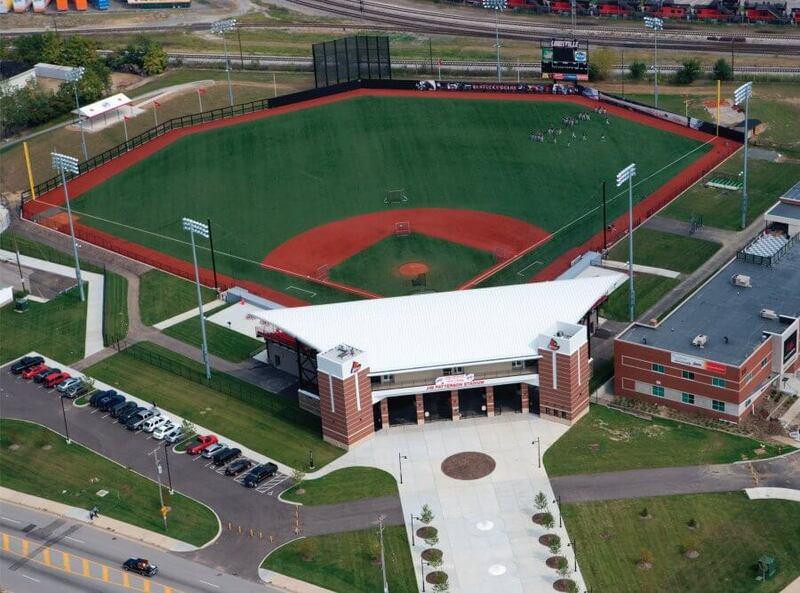 U of L is the second NCAA baseball stadium to have a FieldTurf field surface. Each dugout is solid concrete and contains a restroom for player usage. The scoreboard is a cutting-edge, matrix LED with a 17’x7’ video screen capable of showing instant replays. The upper-level houses restrooms, a VIP Club Room, and a main press box. 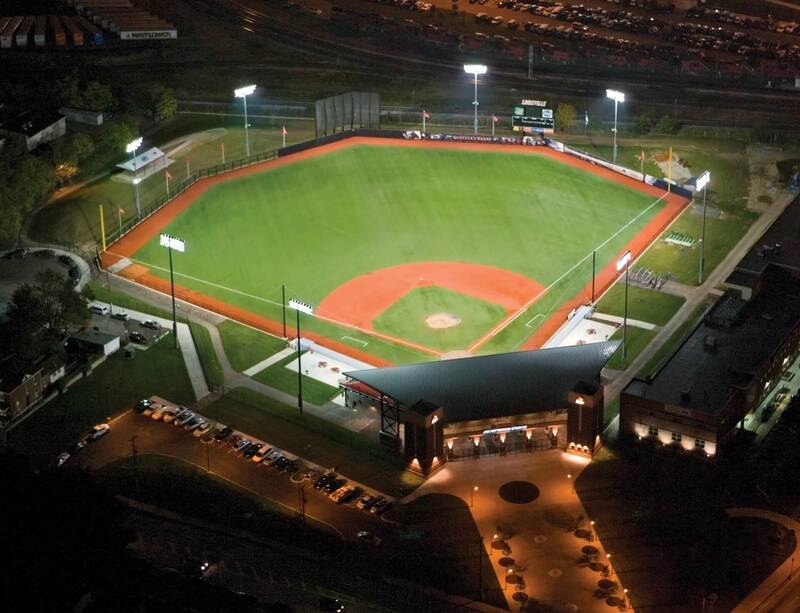 The stadium is complete with additional restroom facilities, a concession stand, and locker rooms. During construction of this project, the Kelley team was challenged with record amounts of rainfall in October and November, in addition to 10” of snow in January. Kelley Construction received a 2006 Award of Honor from the Kentuckiana Chapter of the Associated Builders and Contractors, Inc. for this project.